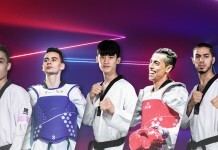 Three years before its Paralympic debut, Para taekwondo sees growth, consolidation, and a mixture of new stars and familiar faces on top. 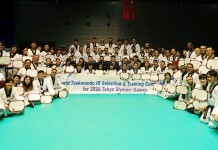 With its inclusion at the 2020 Paralympic Games in Tokyo, Japan, Para taekwondo (PT) keeps seeing record numbers of athletes and nations competing and appearing in the rankings. The world championships alone saw a record-breaking 260 athletes from 59 nations compete, while nearly 100 more competed at the biennial IWAS World Games. PT is attracting elite talent from other sports, like France’s Alain Akakpo who competes in Para athletics, from new nations to the sport, like Rwanda’s Jean Claude Niringiyimana and Nepal’s Ranjana Dhami, and even refugees, like Austrian-trained Afghan Hadi Hassanzada. The upsurge in talent has led to many new faces emerging at the forefront of the sport. Perhaps none as promising as Mongolia’s Enkhtuya Khurelbaatar, who capped off a dominant two-year run by claiming her first world championship in 2017 and being named the top women’s fighter. Strong performances at the world championships by Turkey’s Meryem Betul Cavdar (SF in the women’s u49 K44) and Russia’s Daniil Sidorov (QF in the men’s u61 K44) turned into European Championships for the two later in the year. Perhaps the year’s biggest breakout star was the UK’s Amy Truesdale, who won four tournaments – including her first world title at home in London. Ranked No. 1 in the women’s o58 K44 division, she has joins the ranks of PT’s elite fighters. Despite the influx of talent and the increase in competitiveness, PT’s earliest stars continued their dominance in 2017. Denmark’s undefeated Lisa Gjessing is still the class of the women’s u58 K44 division, capturing her fourth straight world crown and adding an IWAS Games gold to go with it. 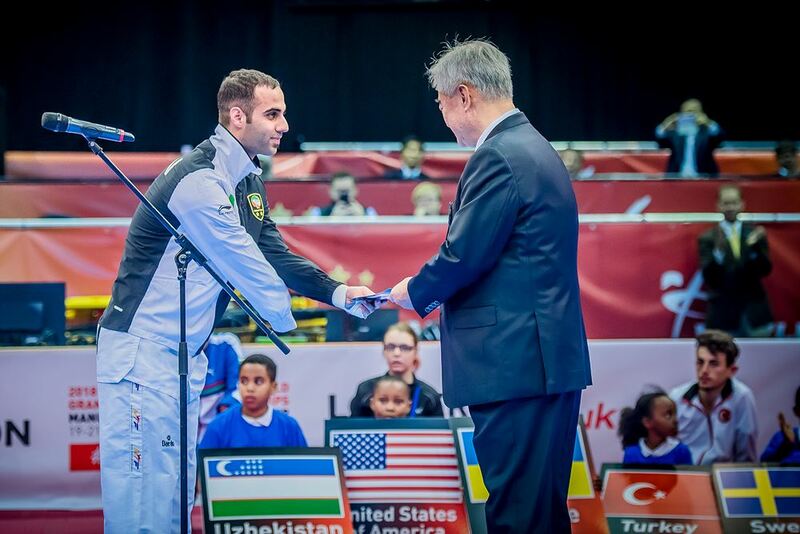 Iran’s Mehdi Pourrahnamaahmad claimed his fourth straight world crown, was named the tournament’s top male fighter, and added Asian and IWAS Games titles to boot. He’s lost just once in the past five years. Ukraine’s pair of No. 1-ranked fighters – Vika Marchuk (women’s u49 K43) and Anton Shvets (men’s u75 K43) – continued their successes in 2017. 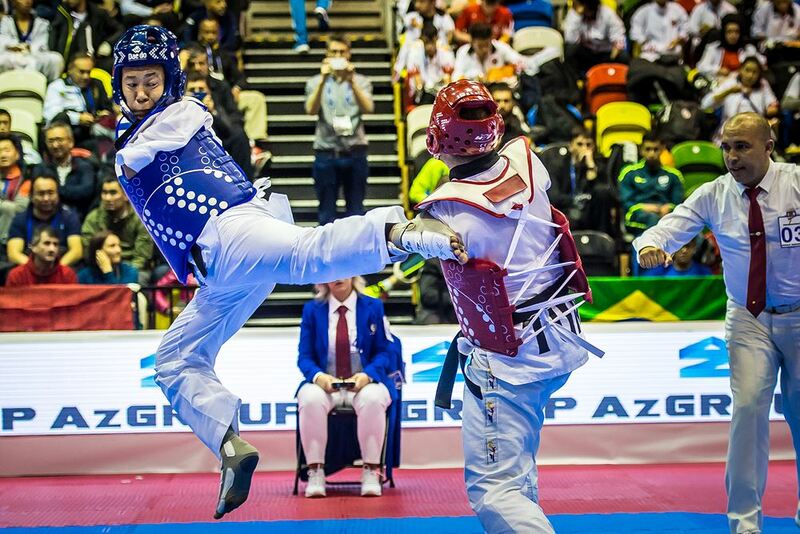 Marchuk captured her fifth world title and added a European crown, while Shvets captured the European and IWAS Games titles in addition to his world championship silver. PT continues to tweak its rules in order to offer fans the most entertaining and television-friendly sport as possible in advance of its 2020 Paralympic debut. Several key rule changes took effect this year with the effort to ‘dazzle and excite audiences’, as WT President Chungwon Choue puts it. The addition of a four-point spin kick allows PT fighters the chance to gain valuable points for the high-skill technique. This offsets the inability to score points for head kicks and trunk punches which, unlike its Olympic counterpart, are prohibited in PT for safety. The sport also moved to a new five-minute, one round fight, replacing the previous three two-minute round system. Coaches are given one timeout each, to be used at their discretion, introducing a new tactical element to the sport. This year the PT world learned how many competitors will take part in the sport’s debut in the Paralympics – and how many medal events they’ll be competing in. In a first for the sport, K43 fighters will join the K44 division for six ‘super events’ – three on the women’s side and three on the men’s. In total, 72 athletes will be fighting to claim the title of PT’s first Paralympic champions. This could set-up some intriguing ‘super fights’, like Mongolia’s three-time world champion Bolor-Erdene Ganbat (K44) against France’s three-time champion Bopha Kong (K43) in the u61 division and Ukraine’s five-time world champion Vika Marchuk (K43) versus Mongolia’s reigning K44 world champion Enkhtuya Khurelbaatar in the u49 event. Both Khurelbaatar and Ganbat lost their first fights in years at December’s IWAS World Games, while Kong was upset in the world championship final by Spain’s Alejandro Vidal Alvarez, setting-up a dynamic 2018 for fighters hoping to gain automatic qualification to PT’s 2020 Paralympic debut.